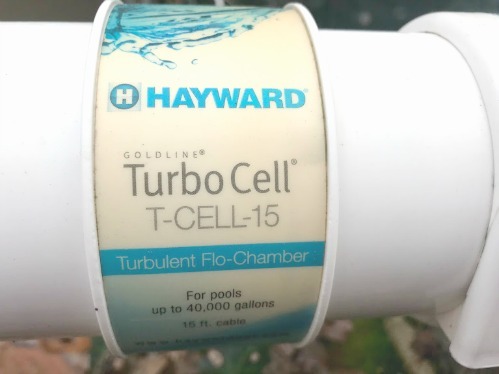 It was a constant struggle for us to maintain the right chemical balance in our standard chlorine pool, spending lots of money on pool chemicals and yet it often was cloudy or had algae growing. Now we are enjoying a crystal clear pool with less effort and less money. 1. 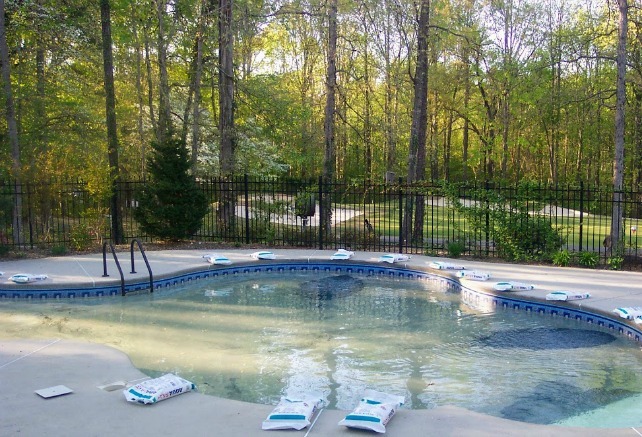 Easier to maintain pool chemical balance with stable chlorine levels, and less fluctuations. Better, consistent control of swimming pool chemical levels. 2. 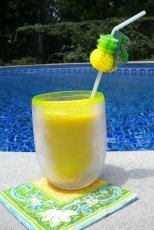 Use less pool chemicals and less trips to the store. I don't have to handle, touch and breathe in chlorine tablets, shock etc. 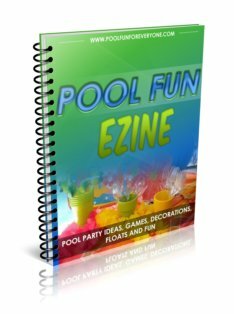 "Salt water in the swimming pool, maintained at the recommended concentration and PH, does not constitute any potential for either equipment corrosion or liner deterioration." 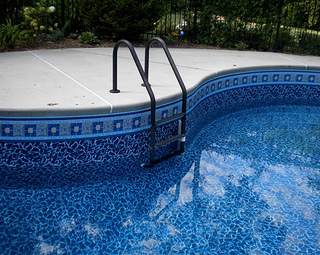 Less chlorine means less damage to pool liner integrity and and protects the liner from fading. 10. Pool water is crystal clear with less effort. Our pool has never looked this good. How Does A Salt Water Pool Work? "The control box sends an electrical charge to the plates which creates chlorine through a process called electrolysis. As pool water passes through the salt cell, the salt in the water is turned into Hypochlorous acid. 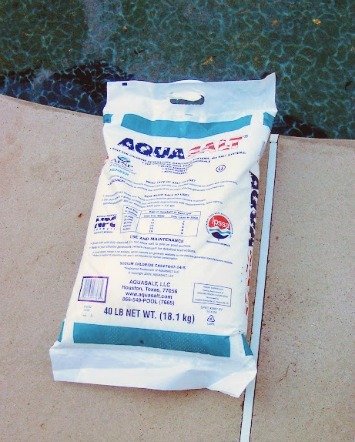 Hypochlorous acid is the same component that is produced when any chlorine is added to pool water, whether you use sticks, tablets, granular or liquid. As the water returns to the pool, it will introduce the newly produced chlorine." 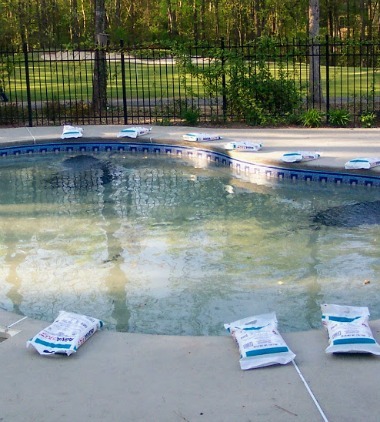 Add the recommended number of salt bags to your pool. 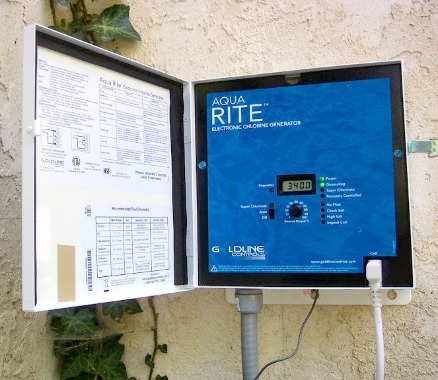 Turn off the salt chlorine generator using the control panel but keep the pump on to help circulate and dissolve the salt. Turn the generator on when the salt is completely dissolved. The Hayward AquaRite model # AQR15 includes the control box, T-Cell-15, cell union kit, and flow switch with tee. You will find it cheaper on Amazon than from your local pool store and install yourself or pay your "pool guy" to install. Start your spring season adjusting the PH, bring the salt level within target range, and add a stablizer as needed. The chlorine generator does the rest. Brush and vacuum regularly. 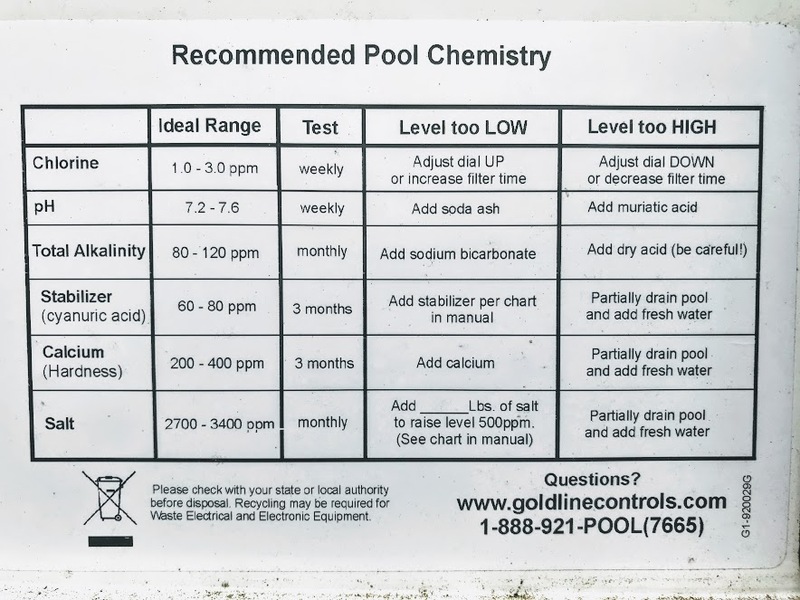 Here are recommended chemical levels for your swimming pool. 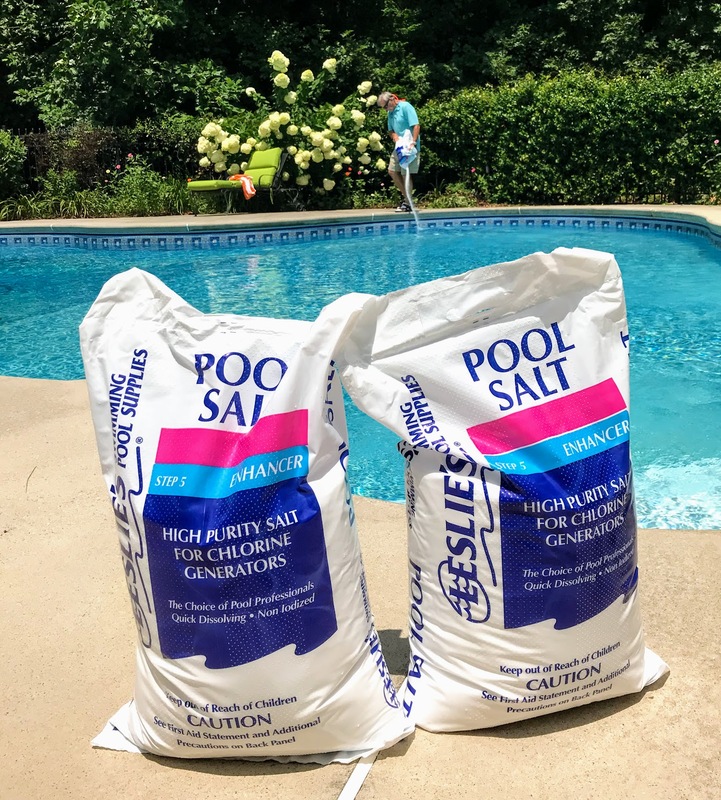 Going with a salt water pool system is well worth the initial investment helping you to minimize pool maintenance with better water clarity and stabilized chemical levels. 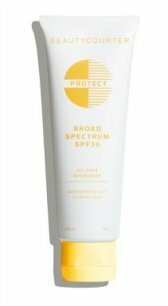 Your hair, eyes and skin will thank you for it as well.